Fever, or pyrexia, is an elevation of body temperature above the normal range. Fever is most commonly defined as a body temperature greater than 38 °C; however, the defining criteria may differ among individuals. Fever is a complex physiological response most commonly associated with infectious causes (bacterial or viral infections) but may also be caused by non-infectious diseases such as immune-mediated or inflammatory diseases, drug causes, or malignancies. Fever is a normal immune response that is rarely harmful and often does not require treatment with medications. 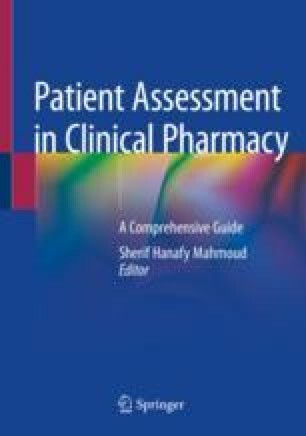 Assessment of patients presenting with a fever requires knowledge of the variations in temperature among individuals and among different sites of measurement of body temperature. Assessment of the history and characteristics of a fever and the presence of any associated symptoms are essential. It is important to determine if any red flags are present, as they could be indicative of a serious bacterial infection or adverse drug reaction, which can be life-threatening. Pharmacists play an important role in the assessment of patients with fever. By obtaining a focused clinical history from the patient, they can identify patients who need to be referred to their physician or to the emergency room, as well as which patients can be managed at home. Pharmacists should also be aware of some of the challenges of medication use in children and the various antipyretic formulations available. Emergency Department Visits in 2014–2015 [Internet]. Candian Institute for Health Information; c2014-2015 [cited 2018 May 1]. Available from: https://secure.cihi.ca/free_products/NACRS_ED_QuickStats_Infosheet_2014-15_ENweb.pdf. Wyckoff SA. Thermometer use 101. American Academy of Pediatrics [Internet]. 2009 Nov [cited 2018 May 1]; 30(11):[about 1 p.]. Available from: http://www.aappublications.org/content/aapnews/30/11/29.2.full.pdf. Leduc D, Woods S, editors. Temperature measurement in paediatrics [Internet]. Canadian Paediatric Society; 2017 [cited 2018 May 1]. Available from: https://www.cps.ca/en/documents/position/temperature-measurement. National Institute for Health and Care Excellence [Internet]. London; c2013-2018 [cited 2018 May 1]. Fever in under 5s: assessment and initial management. Available from: https://www.nice.org.uk/guidance/cg160.